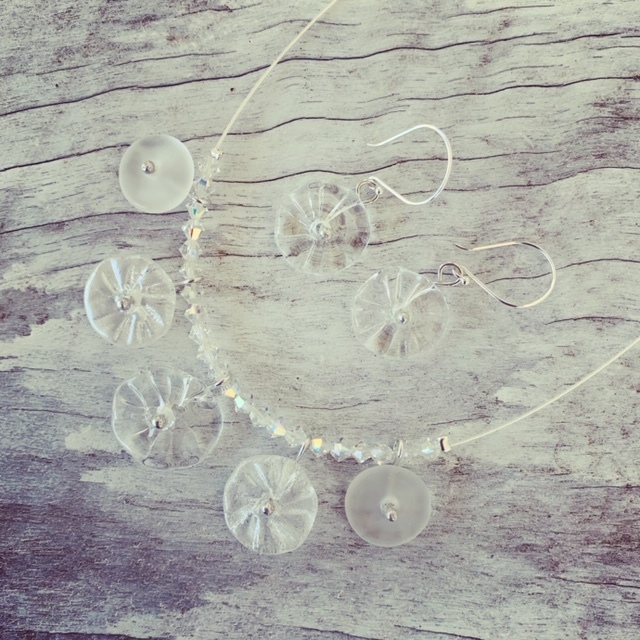 A simple clear wine bottle was used to make this pretty flower necklace. Different finishes on the glass makes it more interesting too. Earrings could be worn with absolutely anything, they will reflect the colours you are wearing.